A great read over a Sunday morning coffee Gabor. Looking forward to reading the new content! Oh, and the weekend's convention scorecard! Oerwin the Guard (NPC, replacement character for Bragg the Miner's player), a guard charmed by the party's wizard, Hemlon the Leprous, and swept away by a muddy flood instigated by another character while he was fighting his former employer, the wizard Froboz Mulk. Yes, that one guy lost three characters that afternoon, one after the other. :D A good time was had by all! An interesting read. Looking forward to the translated modules. A bit of a shame about murderous devices - sounds intriguing and potentially a good example for DIY even if not otherwise thematically quite there. Good luck with your Thief mission. Thank you! It is mostly working, but there are still a few late-stage bugs to iron out. As always, thank you for being my conduit for Thief-related news! : I logged onto TTLG for the first time in a very very long time (my profile still listed my old rpg.net website URL! ), and will see what's brewing for the 20th! :D (I'm particularly excited about this one, since my younger son Henry has grown pretty interested in the Thief series from my descriptions of it!). Thanks, Allan! The contest has motivated several authors to submit their work; there are potentially going to be a full game's worth of entries. I have betatested three of them, and they are nothing but amazing (while representing wildly different authorial styles). My recommendation is to install no extra texture packs and updated objects for this contest, since the missions should be enjoyed in the original graphical style. I even use software rendering these days. I actually tried to look up the proper term while writing the post, but didn't find it. Thanks for the correction! Again I will dismiss the value of a 'Play-tested' as worthless because I have no idea who has 'Play-tested' the material and it is likely that I would despise them. This is more subtle because it requires definition, and of course there is no definition of such a concept because it is a MARKETING LABEL. MARKETING: You don't read books because you are an idiot but maybe it's not your fault but the fault of formatting. Rather than present you with CONTENT why not present you with the SUMMARY of content on bullet point form, with irrelevant colours on the page. Comparing 1960s maths textbooks to 2010s maths textbooks I would say there has been infantilization with bullet point BABY-TALK and COLOUR. LEVEL 2. You are too stupid to read content which is imagined for you in the standard format of paragraphs which is proven to be the excellent for for ideas over thousands of years. My attitude to so called Game-friendly presentation is that those writing in that format assume that those reading it are among the most stupid people who have ever lived (who can read). Good ideas need a paragraph to be expressed at minimum. What is sold as good game design are summary notes of a lecture that was never given. What is sold as a Game-friendly stub of phrases should be shunted to the APPENDIX to a well written MODULE in PARAGRAPHS. Far be it from me to tell you contemptible morons what you should read, I am telling you to excuse yourselves from the debate. Empty thought exercises are not RPGs, Kent. They are better off in the ~:::Storygame Community:::~. Also, ironic to be ranting about airy presentation under a post talking about a game whose layout was all block-of-text all the time, including in its modules. I stopped reading when the morons ruined it with their clay tablets. There is no irony because I prefer the basic clean B&W style of Systema Tartarobasis to any of the over-styled or hyper-styled LotFP or contemporary D&D product. In the 1960s maths and other texts were lean, concise with simple B&W diagrams. The same subjects now have been bloated to five times the size with lurid colour diagrams. And yet the average student from the 1960s was smarter because universities were more select in their intake. The publishing trend of making-things-easy-to-read with truck-loads of design features is a capitulation to idiots who find reading tiresome. The reason I keep mentioning fiction is *nothing* to do with storylines or railroading in gaming but to point out how the most complex ideas are better presented in the simplest form, not encrusted with designs to interest the easily bored. Also it is much easier to distinguish good writing when it comes in a simple form than when it is fractured onto a structured template. For easy reference there are such established innovations as indices and no need for bullet points, perfumes or christmas lights to guide the reader. Congratulations on the anniversary of Kard és Mágia! It looks there is going to be a deluge of publications coming from Melan's press. I very much look forward to having them all! Also by coincidence, CARCOSA was released in Oct. 2008. Must have been an alignment of the stars. Kard és Mágia was the game that introduced me to this playstyle. Thank you! _Especially_ for the GM guide! I would love to see at least the GM Guide Translated to English or Spanish. Have you seen, The Last Valley - 1971. A beautiful looking film, well acted, but importantly a perfect low level gritty AD&D scenario without traces of the supernatural. One could place Jaquays' The Dark Tower in the valley as something to be discovered in the spring. Great Cinema headed by Caine and Sharif, based on a novel by Clavell. Those three names already make it a Classic but it goes far beyond iconic actors and authors. Don't apologize for being off topic, I specialize in that. Often I find when I visit a blog my *off-topic* comments are much more interesting than the original post, as in this case. Usually when hosts don't respond to my FILM recommendations it is because they are film-illiterate dweebs probably more into comics and computer games. Don't mind me, I am just wondering how the drunken, ranting and raving hobo got into my living room. You seem oddly familiar. Weren't you a gamer once? Drinking is just a means to endure popular culture/TV/web/D&D/people. So who here can recommend a good ruin pub? I prefer to drink alone (your choice as well, I suspect), but there are plenty of tourist traps and artsy dives in downtown Budapest. You can even catch a screening of Bela Tarr's Satantango if you're really lucky. I thought the ruin pubs were supposed to be great. I hate tourist stuff, where is the real hungarian night life in Budapest? Szimpla Kert has grown a bit touristy, but it's still a fun visit if you don't mind loud and crowded (or go there for the Sunday morning farmer's market). Élesztő has good craft beers. 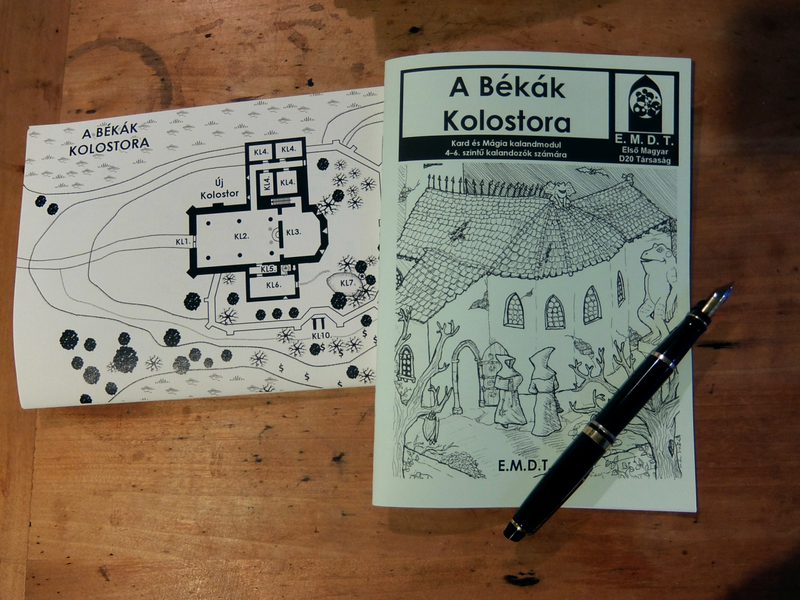 Ellátó Kert is good. Not exactly a ruin pub per se, but Pótkulcs used to be a quiet, slightly out-of-the-way place, haven't been there in ages, though. I'll make a note. I'm only there for three days so I want to eliminate those hours of accidental dullness where I mistake the worldwide smear of nowhere metro-culture for local culture. For all I know, it is all nowhere metro culture and dollar-eyed gentrifiers selling fake authenticity to aging boomers and people on beer bikes. I haven't been living anywhere near Budapest since 1999, though, so take it for what it's worth. Budapest is a magnificent city. The gentle soul I was with suffered from a cold so we had to leave out the Szechenyi bath but we were two days on our feet admiring the architecture and the stream that runs through. The Shoes on the Danube was an afterthought but after all the most moving encounter, reminding us of the Famine Sculptures on the Liffey. We stayed a skip and a walk from Oktogon so were three minutes at night from the smells and tastes that soothe the aesthetes' weary feet. The museums are modest, and are best used to break up hours of admiring street walks, but if there are many better winter city breaks then the world is a large place indeed. I like underground music (punk, noise and such) with lively people and high-brow artsy stuff like neoclassical in more posh venues, but that may not be your definition of nightlife. I no longer appreciate nightlife unless it is small scale and intimate. Midnight string quartets in a whisky bar established in a neglected church, with graveyard for stumbling about threatening the little gods, and hip-high stones to rest tumblers on, best not to drip that stuff on the dead.